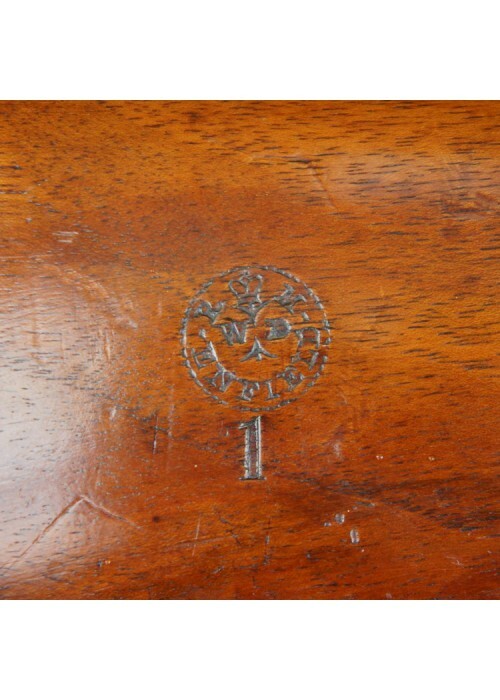 Date of Approval 1872:-1874 Trials only not fully approved, 5000 issued to Canada. The Martini Henry Mk1 Service rifle can be described as having three phases, as it was not offically adopted into service for a full three years after its initial sealing as it went through a continual development process, and was not officially designated a Mk1 until 20 October 1871. In tests from Jan 1871-October1872 the Martini Henry rifle was used purely for trials, with a .450” “long” boxer cartridge the features found on the MHR Mk1 (first) pattern are now very rare indeed. These include, safety catch and no knocks form to the barrel. As a result of experiments made by Eley with a bottle shaped round the service rifle was to have the bottle shaped 577/450” round which gave greater velocity. 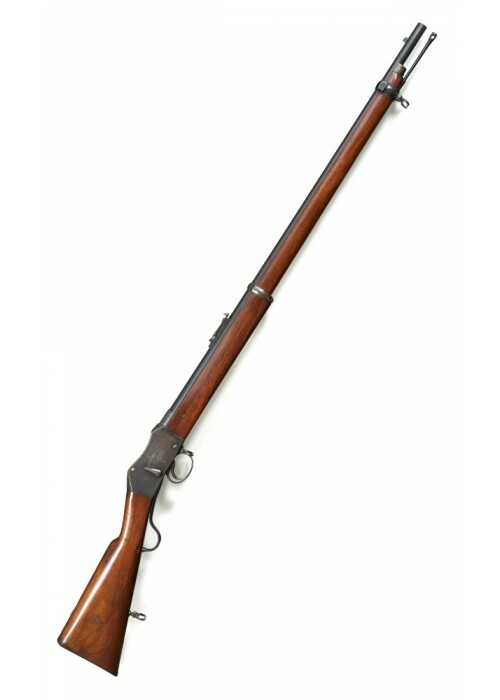 Official production of the rifle began under an order from the War Department of 13.4.1871, being approved 3.6.1871, by Jan 1873 32,092 were in store. 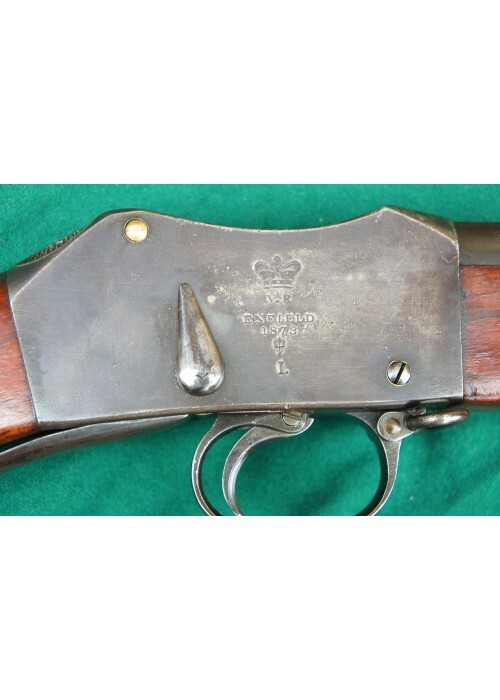 On 3.9.1872 The official second pattern variant of the MHR Mk1 (second pattern) was sealed, this pattern had a safety catch fitted on the right of the action. The stock cup, which held the lever had a improved configuration, with an internal C spring and lug. A change to the sighting ladder, with windage lines on the slider provided better adjustments for range. 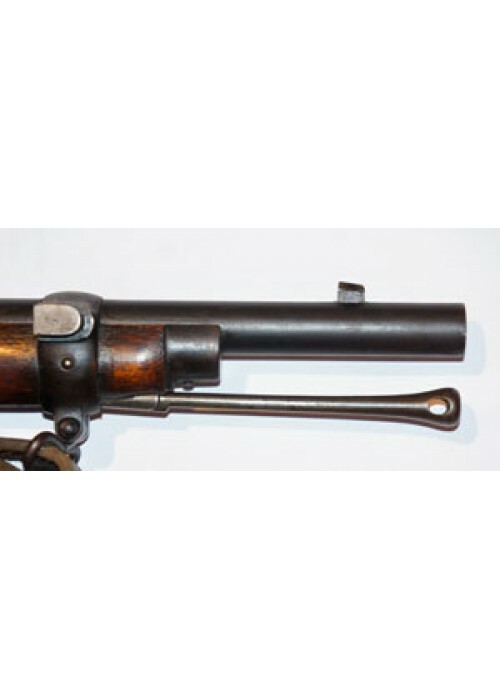 In 1873 the rifles breech block assembly was modified, including a new pattern strengthened striker and the block had been re-configured to accept the a better striker. The newly manufactured and existing breech blocks were marked and carried the distinctive “S.B” on the axis to indicate the upgrade. 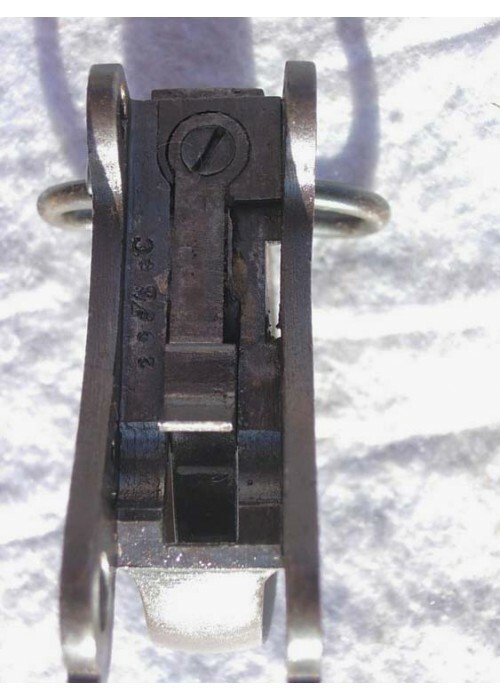 The breech- block was left highly polished untreated steel to assist light reflection when inspecting the bore, as this was the 1874 production year, the breech block was designated the ’74 pattern and remained a constant pattern throughout the lifetime of the 577/450 model, all rifles in store were converted. 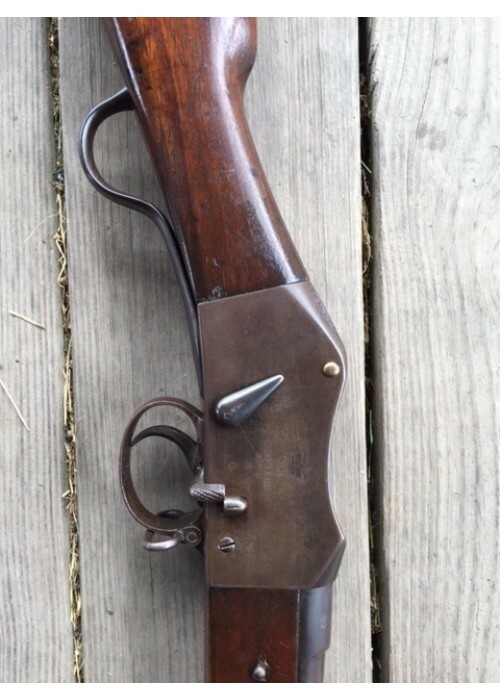 Resultant evaluation tests found that the safety catch was not required and was officially dispensed with (11.11.1873), rifles in stores with that feature were converted, the catch removed, the leaf spring snipped off and the retaining screw holes in the action body filled, with all new production having no facility for that feature. The cleaning rod was held into place by a spring clip under the nose-cap, the rod itself had a pronounced shoulder which required a pull away from the spring, within a short period of time, complaints were received as to the sharp corners of the rod shoulder and its liability to damge the bore when cleaning. A new design was adopted with a tulip shaped swell which in twisting pushed the rod away from the clip allow it to be pulled clear. By March 1874 120,000 Mk1 rifles had been produced, the majority by the RSAF Enfield, and two principal govt approved private manufacturers under contract, The Birmingham Small Arms and Metals Company (BSA & M Co) and London Small Arms Company (LSA). 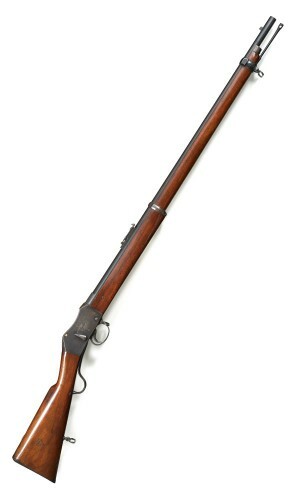 At a ratio of 6:2:1 respectively making 37,900 rifles. In May 1874 the first issue of 2100 MHR Mk1 rifles were sold to Canada, prior to the full adoption of the rifle by the British Government, fortunately these second Pattern rifles were to be unaltered in the proceeding years and remain good examples of the MHR Mk1 (2nd) pattern.